Troy Rosasco, a partner at Turley Hansen & Partners, was mentioned in Long Island Business News' "Another Minute" section. He was also interviewed by Newsday and The Legal Broadcast Network about proposed federal legislation to extend the James Zadroga 9/11 Health and Compensation Act. Mr. Rosasco’s client was also interviewed by NPR. An E-Newsletter was created for Maroney & Associates, PLLC. 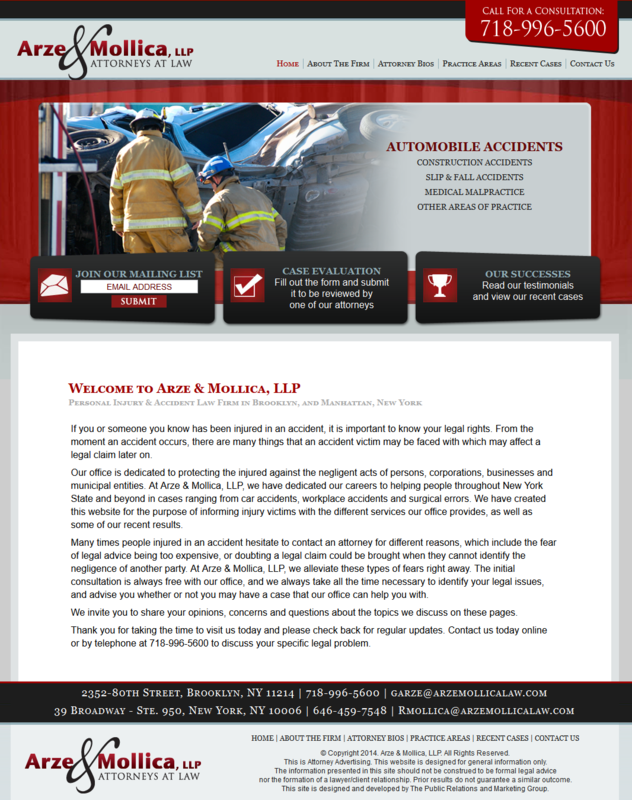 A website was developed for Arze & Mollica, LLP. Andrea Serie of Tully & Winkelman P.C. was named as one of Long Island Business News' "Ones to Watch" in Law. A trifold brochure was created for Bellavia Blatt Attorneys at Law. 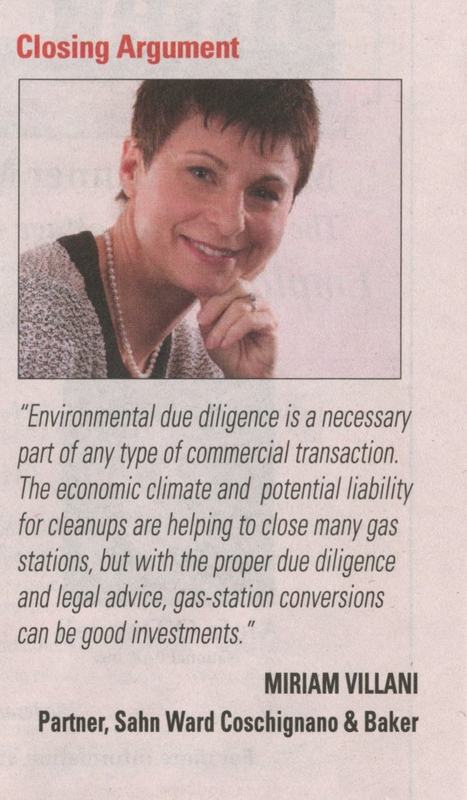 Miriam Villani of Sahn Ward Coschignano & Baker was quoted in Long Island Business News' "Closing Argument" section, on environmental due diligence regarding gas station conversions and John Christopher was name as Long Island Business News' "Ones to Watch" in Commercial Real Estate. A trifold brochure was created for Neil H. Greenberg & Associates, P.C. 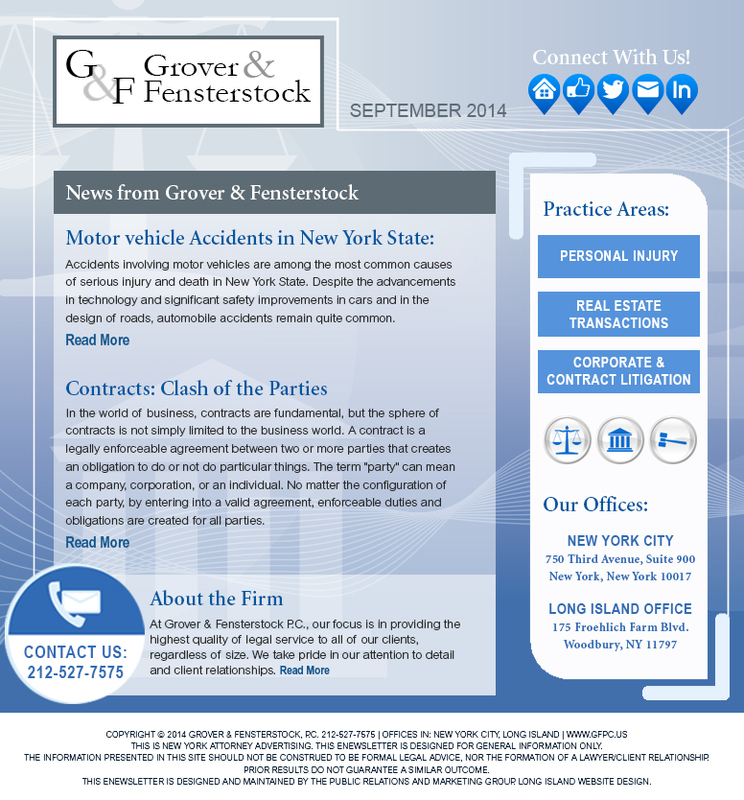 An E-Newsletter was developed for Grover & Fensterstock. A birthday card was designed for Sakkas Cahn & Weiss, LLP. A journal ad was designed for Sanders Thaler Viola & Katz, LLP. A journal ad and a folder were designed for Emmanuel Jacques Almosnino Law Firm. 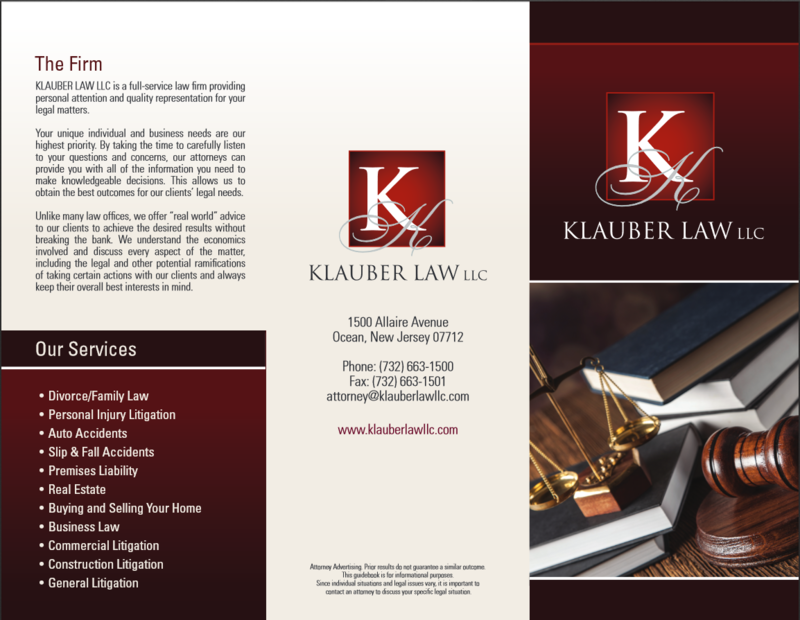 A brochure was designed for Klauber Law, LLC.